Is Lara Croft GO Worth the $5 Price of Admission? Few video game characters become recognizable outside of their game, gaining install recall when their name is said. Lara Croft is perhaps the most famous female video game character The 3 Most Badass Female Video Game Characters Ever [MUO Gaming] The 3 Most Badass Female Video Game Characters Ever [MUO Gaming] It is a sad fact that video games are an entertainment medium that caters mostly to men. As a result, most of the main characters in games tend to be male, and many females are... Read More . And her latest mobile avatar makes for the best game you will play on phones or tablets this year. Developer Square Enix has chucked the Tomb Raider name and perhaps with reason. The Tomb Raider games have always been about combining action, skill, and puzzle-solving. And the Tomb Raider movie The Top 10 Video Game Movies Of All Time The Top 10 Video Game Movies Of All Time Media crossovers can often be highly successful. Books such as the Lord of the Rings trilogy, Forrest Gump, and It's A Wonderful Life have found new audiences after being translated into movies. But video games... Read More highlighted the action part even more. Lara Croft GO is only about the puzzle-solving. But even in that, it’s an incredible puzzle adventure and worth every penny. And just so you know, there are no ads and no in-app purchases relevant to finishing the game. The only in-app purchase available is a hint pack for solutions to levels, but you don’t need to spend on that when there are video game walkthroughs available on YouTube. So if you’re downloading this game for kids (and yes, it’s safe for kids), disable in-app purchases What Are In-App Purchases & How Can I Disable Them? [MakeUseOf Explains] What Are In-App Purchases & How Can I Disable Them? [MakeUseOf Explains] "I can’t believe it!" my cousin said to me the other day, "someone’s just bought a $10 in-app purchase on my mother’s phone, and she doesn’t even know what I’m talking about!". Sounds familiar? How... Read More first. What’s Lara Croft GO about? Hitman: GO was one of our favorite games of 2014 iPhone & iPad Last Minute Gift Guide for 2014 iPhone & iPad Last Minute Gift Guide for 2014 Left Christmas shopping a bit late this year? Don't worry – apps make the best last minute presents. Read More and so it’s only natural that Square Enix expands on this successful formula. Lara Croft GO is a spiritual successor, but everything is more refined. In this turn-based strategy and puzzle-solving game, you play as Lara and go from level to level solving a series of puzzles to get to your goal. Each level has different elements and characters that you need to use wisely. At any point, the path that Lara can walk is clearly laid out and she can move one step at a time; you have to calculate where to step and which order to step in. The most enjoyable part of Lara Croft GO is how it strikes the balance between being frustrating and being impossible. That’s what the best puzzle games are all about, unlike the hardest puzzle games ON/OFF: One Of The Hardest iOS Puzzle Games You Will Ever Play ON/OFF: One Of The Hardest iOS Puzzle Games You Will Ever Play When you play a game on your iPhone, are you looking for something relaxing and easy-going that will just kill a few minutes? If so, ON/OFF is another quick blast you should download. Read More . You will often curse yourself and this game, thinking it’s impossible to get through a level. Take a break, go do something else, and come back to it: suddenly, you’ll find a way you didn’t consider earlier. For example, in some levels, you will find platforms that act as levers to open or close doors; torches with which you can scare off snakes to one step behind; and lizards that will follow you around. You might need to use the torch to scare the snake onto the lever, and get the lizard to follow you to another lever, so that you can get through the door. But it’s not apparent at the first go. That, for me, is the mark of a great puzzle game. It’s what made the original Angry Birds so great, and Lara Croft GO manages to do that more times than any game I’ve played this year. If you’ve played the Tomb Raider series, you will recognize several nods to the classics, as Lara arches into a graceful somersault while climbing up rocks, or when she finally faces a dragon we first saw in Tomb Raider 2. This slow ascent of difficulty is wonderful, but more importantly, it keeps the gameplay fresh. In the early stages, you’re just trying to get to the finish. Later, it’s about figuring out tricks to kill enemies, like attacking the dragon with arrow-cannons in the wall, or getting a spider on to the same platform as the moving buzz saw. 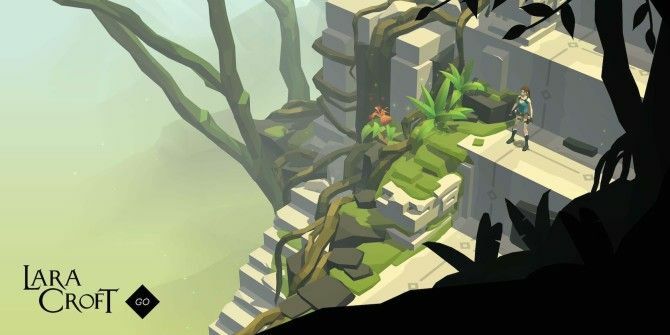 All of this is ably aided by Lara Croft GO’s breath-taking visuals. Lara’s movements are fluid like in the games, whether she’s dashing under a closing door or executing a perfect swan dive into the waters below. The low-poly art style works perfectly for the game, giving it a retro feel while still looking modern and polished. 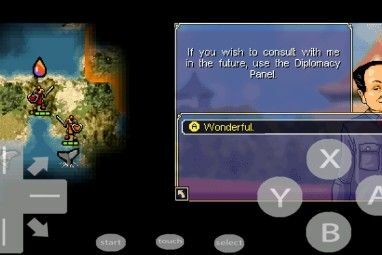 It’ll make you say, “I can’t believe this is a mobile game.” 5 Games So Pretty You'll Forget They're Played on a Smartphone 5 Games So Pretty You'll Forget They're Played on a Smartphone If you're tired of playing yet another flappy bird clone and want games that are truly beautiful, you'll love these. Read More And the design of each level is inspired—I was pleasantly surprised by the attention to detail in the background and foreground art. It’s the small things that make a game feel complete. But Is It Worth $4.99? 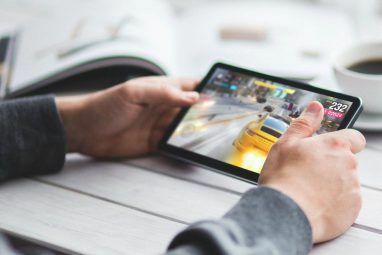 Mobile games are now increasingly going free when they launch. Angry Birds 2 (read our review Is Angry Birds 2 Worth Downloading, or Should You Skip It? Is Angry Birds 2 Worth Downloading, or Should You Skip It? The world's favorite flock of cartoon birds is back! It takes everything you liked about Angry Birds, and adds enough new elements to make for a fun way to pass some time. 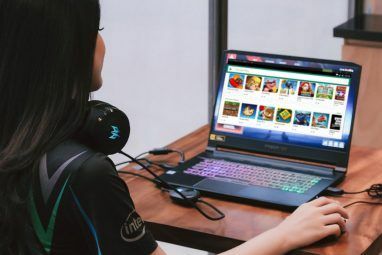 Oh yeah, and... Read More ) also adopted this freemium approach, despite being the biggest mobile game franchise and having guaranteed purchases from loyal fans. And yet, Lara Croft GO asks for a substantial five bucks if you want to play it. Well, don’t think twice, it’s well worth it. I already said that Lara Croft GO is the best puzzle game of the year, but I’d go so far as to say it’s the best mobile game of the year overall. Let me put it this way: If you planned to spend any money on buying video games this year, then spend it on Lara Croft GO before you think of others. If you didn’t plan on spending any money, rethink your approach, you’ll be missing out on an incredible game. In case you’re stuck at any level, drop a line in the comments and I can offer a hint without spoiling the game for you or forcing you to look up a walkthrough online! Is This the Game of the Year? Lara Croft GO is my pick for game of the year, even though I love WWE Immortals Is WWE Immortals Worth Downloading? Is WWE Immortals Worth Downloading? Read More , and there are some good titles yet to release in the coming months. Still, if you disagree, what’s your game of the year so far? Explore more about: iPhone Game, Mobile Gaming, Puzzle Games. Looks like Monuments Valley. How many levels/stages does this have? Monuments Valley was so short. This is not a very long game either. 37 levels total. Wow! Sounds really cool. I wish they had a Linux version... (sigh)) there's always WINE.